How to Become a Consultant Podcast with Joe Sanok and friends. 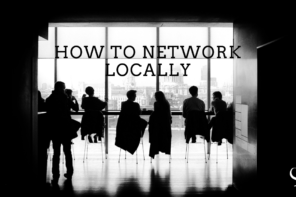 Grow a specialty, grow an audience, and grow an income. The top consultants helping you to become a consultant today. Joe Sanok: Welcome to the How to Become a Consultant Podcast with Joe Sanok, Session 57. I hope you are doing awesome today. I am doing great. In a little bit here, I’m going to go have lunch with one of my friends, and just – he’s a guy that I really enjoy having lunch with. So looking forward to hanging out with my friend Noel, and I hope that you are doing great today and doing things that give you balance and purpose and excitement. It’s just so good to be a consultant and see people grow, but also to remember the heart side of it. Like not just the – I don’t know. Like just the making money side. Like that’s not why I went into counseling, and that’s not why I think I’m here on this planet. I don’t want to just make money. I want to feel like I’m doing some really good work. Well, my friend, Sarah Barnes, she actually stood in our wedding, and it’s really funny because I watched Sarah really kind of pivot who she was. In a lot of ways, she just changed her whole direction. She is a master when it comes to percussion. She played in the Chicago Symphony Orchestra. She did a lot of work around music, and then went on for her MBA and began teaching at Loyola, and she works for Campbell & Company in Chicago doing business consulting. She has more than 10 years of marketing and communications experience in the non-profit and for-profit sectors. In her role as Director of Marketing Communication, she works with colleagues to further Campbell & Company’s presence throughout communications in marketing strategy. She’s worked with so many amazing people, and her advice is just mind-blowing. It’s so good. But it’s really funny how sometimes, you just don’t know what people do and the depth of what they do, and we were visiting Sarah in Chicago, and I was like, “So tell me about your role,” and I was probably about a year into Practice of the Practice, which is my website for counselors in private practice. And she started talking about SEO and ranking in Google, and I didn’t even have my podcast recorder with me. I just downloaded one from my iPhone and recorded a two-session podcast episode with her on all about how to rank high in Google. And it’s so funny how you can be friends with someone, get along, and you just don’t even understand the depth of like how much overlap there is. So this week, we’re going to be hanging out with Sarah every day, Monday through Thursday, and then Friday, I always take your calls. So without any further ado, I give you the one, the only, the never replicated Sarah Barnes. Well, Sarah Barnes, welcome to the How to Become a Consultant Podcast. Sarah Barnes: Hi, Joe. How are you? Joe Sanok: I’m doing great today. How are you doing down in Chicago? Sarah Barnes: Doing well. We finally have a nice day here. Joe Sanok: Yeah. It’s beautiful up here in Northern Michigan, also. It’s just wonderful to have these sunny days. So all week, we’re going to be talking with Sarah about how to become a consultant. Why don’t we start, Sarah, with just kind of what kind of consulting do you do, and we’ll dive into kind of some questions about people growing their specialty. Sarah Barnes: Yeah. So to give you just a brief background with my experience, I have both B2C as well as B2B experience. I started out working with Discover Financial Services doing product launches for them and then moved into the B2B realm where I worked for Cook Associates, which is an executive search/M&A firm where I helped market and communicate services for those two areas. So I worked a lot with consultant groups, and then in my position here at Campbell & Company, I’m the Director of Marketing and Communications, and I partner with consultants to help them increase their visibility, help them identify their value proposition relative to our competitors and really try to give them as much external – I guess equity, as much as possible. I’m also doing some digital marketing consulting as well with my position here, so I am in the process of getting that up and running, too. And then, oh, and then also, I do teach at the School of Business at Loyola University of Chicago, and I teach pretty much every semester running their digital marketing course. Joe Sanok: So you do a lot. So how did you land on that huge clump of things that you, I guess, have skills in? Like how did you find that specialty? Sarah Barnes: I think a special team more found me, because I was recruited out of Discover, and I really became – well, let me take a step back. I really had no clue about B2B before I got into it, and then I jumped right in and I just started reading a lot about it and how it’s really important to figure out how you can differentiate yourself from someone else. You’re selling your own human capital, like your own intelligence. That’s what’s differentiating yourself from somebody else. And so how do you capitalize on that? How do you market it? How do you figure out how your personality differs from someone else? So it’s really important to try to figure that out before you start the marketing and communications process. Joe Sanok: So for people that are brand new, what’s B2B? What’s B2C? Joe Sanok: No, that’s okay. I like having the super like advanced stuff, but then also, there’s going to be people that are listening that are brand new. So what’s the quick version of that? Sarah Barnes: Yeah. So B2C is business-to-consumer. So a like a company like Kraft, Discover, American Express, they’re going direct from business to consumer; consumer-based products. And then B2B is business-to-business, and so essentially, the company I work for right now, we work entirely with non-profit organizations to help them with their fund-raising capacity. So we work strictly with organizations or strictly with other businesses. Joe Sanok: So when you’re working with an organization or you’re working with consultants that want to grow in their specialty, how do you do that? Like what are some recommendations for people that are just starting to grow their specialties? Sarah Barnes: I think the first step in anything before you push out messaging or push out any sort of communications or marketing is identifying the current landscape that you exist in, and understanding how you differentiate yourself or what is the differentiator between you and your competition, because there are so many people out there, there are so many different services that organizations provide, but what you have to be able to do is you have to be able to sell your own value proposition to your prospects. And I think that’s the first step in doing that. Joe Sanok: So value proposition. So we’ve got a person that wants to become a consultant. Let’s call him Tom. So all the people listening named Tom, you get to be the example today. So Tom, what does he do to kind of start to evaluate his value proposition? Sarah Barnes: Questions that he could ask himself, “What do I do that’s different than what my competition does?” “What is my competition currently doing?” “How are they currently serving clients?” “What is my process that’s different than my competition?” “How’s my personality different than my competition?” and then I think also, “What is my deliverable that’s different?” So in terms of not just going in and working with an organization or business, but at the end of the day, what’s that final service or product that is different from your competition? Is it a process? Is it a report differentiator? Are you looking at metrics in a more advanced way? Is it your personality that you become a part of the team? You have to really try to avoid though using verbiage like, oh, you become part of your team where you partner – we serve so many different clients. I mean, everybody uses that, so you have to figure out what is it that is the difference between you and others that are in your field. And it’s tough to repeat that process. Joe Sanok: And why is difference – I mean, that word is such a powerful word. Why is that so important? Sarah Barnes: Yeah. So when you’re going to pitch for a perspective client, perspective organization, whomever, you have to be able to not only just sell your services, but you have to be able to articulate why you are better than your competition. Joe Sanok: And early on, you said kind of evaluating the current landscape. Are there any kind of tools or quick hacks as to – like here’s just some quick ways to look at the landscape or is it really kind of that deep research in just knowing your competition? What are some ways people can kind of look at that landscape? Sarah Barnes: What I love doing is – and it takes a lot of time and energy and thought, but I think what’s most valuable is to do some qualitative interviews. If you are already in the market or you’re in the sector, let’s you’re working for an organization, you’re wanting to go on your own, is to do some qualitative interviews with prospects that you want to work with and what they’re looking for, and what is the perceived value specifically from specifically what you offer or specifically what your competition offers? 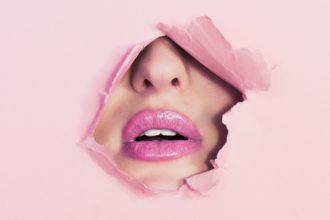 If you can do that, I think that that adds the most amount of value as well as – I feel like there’s just a level of objectivity there that you get as opposed to – you can go on to somebody’s website and search and search and search and you get messaging, but it’s not quite reflective of what clients say about them. Joe Sanok: So really just kind of talking to your ideal client, and maybe even having in your mind, “Who’s my avatar for my ideal client?” and then just chatting with those people, seeing what they’re dealing with, what their pains are, what’s not being served, then start to kind of get an idea of the landscape. Sarah Barnes: Yeah. That’s essentially kind of a – we use this term of gap analysis frequently. That’s pretty much what it is. It’s identifying the difference between what is currently being served, how it’s being served, and what is that gap that organizations need or businesses need, and trying to figure out if you’re that right person to fulfill that, but there’s always a gap. There’s always a gap in delivering services and really trying to figure that out. So it’s there. It just might be harder to define in some industries as opposed to others. Joe Sanok: So Sarah, what’s one thing that anybody can do today that they can start to grow their ability in their specialty? Sarah Barnes: I think in terms of growing, it’s going back to that value proposition and identifying what that is, what is that statement that really differentiates you from your competition. I’d recommend that there’s a really good book called “Insight Selling”, and for whatever reason, I can’t remember the author of it, but I’m going to look it up right now, but it’s a really fantastic book, and so it’s by Mike Schultz and John Doerr, D-O-E-R-R, and you can find it on Amazon. And I think it’s a really good book for people who are either actually frankly, who are currently doing consulting or been a consultant forever or ones that are starting out. Joe Sanok: Well, we’re going to be talking to Sarah Barnes all week. Tomorrow, we’re diving into how to grow an audience. So we’ll talk to you tomorrow, Sarah. Joe Sanok: So I just absolutely love how Sarah really just kind of pushes you to differentiate yourself. How are you different? I was just speaking to someone the other day, and they’re someone that is growing their consulting business, and the way they described what they were doing, I said to them, “So how is that different from anybody else?” and the way they described it, it sounded like, “Anybody could benefit from it,” and so framing kind of who is in and who is out, who are your ideal clients and who are not your ideal clients, and you know, Chris Ducker talks a lot about both attracting and repelling people, and so that you can get those people that they are perfect for your audience. They are perfect for what you’re looking to do. They’re perfect for your specialty, and the people that aren’t, well, see you. Peace out. So thanks so much for listening in. Tomorrow, we’re going to be talking more with Sarah, and I didn’t mention a sponsor, but we do have a resource. I want to tell you about AWeber. AWeber is the email marketing system that I use. You can try it for $1. Just head over to becomeaconsultanttoday.com and you can click on the affiliate link there. So thanks for letting me into your ears and into your brain. We will talk to you tomorrow. To discover more about how to grow a specialty, audience and income, visit becomeaconsultanttoday.com. Joe Sanok: Welcome to the How to Become a Consultant Podcast, Session 58. I am Joe Sanok, and we are hanging out all week with Sarah Barnes, who is my close friend, and she’s also just a guru of business consulting, of how to become a consultant, of SEO and online marketing, and today, she is going to reveal to you some very specific tactics on how to grow an audience, and she’s done this for multi-million dollar non-profits, universities, for-profits. She knows her stuff. And so by the end of this day, you are going to have some very clear action items and ideas as to how to successfully grow your audience. So I just can’t wait for you to tell me what you’re learning. I can’t wait. Send me an email, joe@practiceofthepractice.com. I’d love to hear from you as to what you’re learning from this podcast and what you love it. So here is Sarah Barnes. Sarah Barnes, welcome back to the How to Become a Consultant Podcast. How are you doing today? Sarah Barnes: I’m doing well. How are you? Joe Sanok: I’m doing awesome. So yesterday, we were talking with you all about just how to grow a specialty, especially around the idea of just differentiating yourself. And so kind of that next step is how do you grow an audience? How do you grow new clients? So one area that I know that you help a lot of people with that’s really – I haven’t heard from anybody that I’ve interviewed is speaking, doing conferences, getting into content. Maybe take us through when you work with people. Tell us about speaking engagements and conferences and what strategies you’ve seen for growing audiences that way. Sarah Barnes: Sure. Well, let me take just a quick step back because I think, philosophically, I want to just mention that first and foremost, you have to do good service and deliver service really well to your clients. They’re going to be your frame, they’re going to be your word of mouth, your referrals. They’re going to be the ones who are providing testimonials for your future perspective clients to contact. So often, I work with consultants to develop that content strategy, and it’s really taking a step back and saying, “Okay, we have –” it’s every year, developing an individual business development plan, and then it’s identifying, “Okay, who’s the target market? Who are we trying to reach? And then what are the avenues that we can reach them?” Well, we can reach them through email, we can reach them through online, we can reach them through speaking engagements. And so from the speaking engagements, it’s targeting the conferences where we know that our target audience is going to be, and developing a proposal that isn’t “salesy”, but that drives value for the people in the room. Often times, I’m sure everybody who’s listening in has either attended a webinar or speaking engagement where’s it’s completely “salesy”, people are pitching the products or their services, and you’re not learning anything. The focus is to provide the audience members with something that’s attainable and something that is actionable for them to take away. So perhaps it’s partnering with their current client to submit a proposal, so your presentation not only features you, but also features the work that you do with a client. I also always tell the consultants that I work with that, “What are the 10 action items we can give to people who are in the room, and what does that deliverable look like?” so that we go in there and say, “Okay, this is not a sales presentation. This is really about education.” And what happens there is that people then develop a level of trust for us and they say, “Hey, you know what? They’re really open. They care about what we’re doing. We can ask them more questions,” and that relationship starts. You’re not going to necessarily convert somebody in that room, but you can certainly start a relationship from there. You have to think about the funnel, right? Like the sales funnel that I’m sure many of you are familiar with. You start with awareness, then you go to engagement, then you go to conversion and then retention, and everywhere along that funnel, there are certain strategies, and for me, speaking engagements are around the awareness engagement arena. You can really start to engage and build relationships by doing that. Joe Sanok: Now, when people are applying for speaking at conferences, do you recommend that they become a sponsor at the conference so they’re more likely get accepted or just kind of submit a bunch of proposals? Sarah Barnes: That’s tough. So that’s a really tough question because there are some conferences that do the “pay to play” thing. I think every conference is different, and you have to understand the nuances for the sector that you are working in. I think the best thing to do, from my experience, is really to get to know the program committee and to understand what are they looking for within a proposal. Those are the steps that we’ve taken that we found to be most successful. Joe Sanok: Okay. So then, you get a conference proposal accepted and you’re making sure it’s not too “salesy”. How do you structure a proposal – or I’m sorry, structure the actual presentation in a way that it provides great value, but then also leads to leads? Sarah Barnes: Leads to leads. Joe Sanok: My new book, Leads to Leads. Sarah Barnes: Right? I like that. Well, so I think that the lead part will come if you deliver a really good presentation and always go back to your objectives for your audience, what are they going to learn, what are the key steps that they are going to take away from this, and you’ll be surprised about how many people come up and give you their business cards. But it’s a natural, organic process, and again, I know that there are others out there who are going to a presentation and be like, “Hire us to do this,” but I don’t think you need to be overt and “salesy”. I think really being authentic and organic and understanding relationships and how relationships move is the key to doing a good presentation. Joe Sanok: Sure. So what other ways do you see people successfully building an audience? Sarah Barnes: So we had talked a little bit just a couple of minutes ago about content marketing, and that piece really helps to fuel speaking proposals, but also helps to fuel the content that you may be putting online on your website and through your email communications. It’d be great to be able to – I think beneficial rather to build an email list, a targeted email list of people that you know you want to work with, and then start doing an email strategy based off of that target audience. Figuring it out, figuring out what are the key messages that you want to bconvey, what do you want them to do with the email, and then leading them to your website. So your website is kind of like your content landscape. It showcases your services, but it really showcases your thought process and your own intellectual capital, really. So you want to lead people to go to your website and then you want people from your website to then convert into leads by submitting a form or by contacting you. Joe Sanok: Okay. So when you’re talking about the email list, what are some good ways to get people on to that email list? Sarah Barnes: That’s a good question. I think that definitely having content on your site, so getting that up first is important so you get people geared towards your website, starting with your client base that you have. You can certainly add them to that. Let’s say you’re going to sponsor at a conference. You get leads, you add them to your database. There’s also some direct research that you can do where you can go out and you can identify those organizations and put them on your list. Obviously, you have to have an unsubscribe button on your email so that you follow (indiscernible 00:08:58). So in terms of building your list, it’s challenging but it works, and I would always suggest doing it organically as opposed to buying list. Usually, with buying list, you’re looking at a 50% turn rate or attrition rate naturally, and then from there, you’re looking at maybe 10% to 12% open rate at the max. Joe Sanok: Wow, wow. I mean, and do you feel like it’s effective? Like I was just reading a website today that was talking about using like a free E-course to get people on to an email list. Are those kind of strategies effective? Is that like a huge waste of time if you’re spending that much time on content just to get people on the email list? What are your thoughts on things like that? Sarah Barnes: I think you can do an E-course. I think you have to figure out though who you’re trying to target and what you’re trying to do. I think it’s always better to be more targeted, especially in consulting and in B2B, like to be more targeted, so that conversion rate is higher as opposed to you have 1,000 people, but they may not be the right 1,000 people. I’d rather have 100 of the right people than 1,000 of the wrong people. Joe Sanok: Right, right. So really just making sure that whatever content you’re making is aimed at that ideal client, and it’s not too broad. Joe Sanok: Okay. So Sarah, what’s one thing that people can do today to start to grow their audience? Sarah Barnes: Well, deliver a good service, testimonials and case studies; make sure you keep those relationships, and I think secondly, is to start driving content. So really being able to articulate beyond the services that you provide, what’s that thought leadership capacity that you have. Joe Sanok: Sure. Great, thank you so much, Sarah Barnes. We’ll be talking more tomorrow and talking about how to grow an income as a consultant, and have a great rest of your day. Sarah Barnes: Thank you. You too. Joe Sanok: You may have 1,000 people, but they’re just not targeted, versus having 100 people that are highly targeted. I think that’s such an important thing. I’m actually preparing right now. Probably by the time this goes live, I’ll be pretty close to leaving for heading out to Seattle for the John Gottman Summit Conference, which is a conference for people that are in private practice that do marriage counseling, and things like that. And so I was invited to be a sponsor there and I have a table. I’m going to be hanging with some of my other consultant friends. And one thing that I’m doing, because what my sales funnel is, is I want people to opt into an email, I want them to get great content, connect with my consulting podcast, either this one or the Practice of the Practice Podcast, and then eventually, I want them to buy something. I want them to buy an E-book that’s really cheap. I want them to buy my paperwork packet. I want them to do consulting with me or I want them to enroll in the consultant school. But I need to show them that I have value. And so what I’m doing to highly target people is I segmented who I work with into three different groups: people that are starting a private practice, brand new people, people in grad school, people in the start-up phase, people that want to grow a private practice, so these are people that have plateaued in their practice, they want to add clinicians to their practice. They want to scale it so that they’re not just making money by working harder, and then people that want to become consultants. So people like you. You’re in that top group. So people that want to become consultants. And so what I have is I have three different rack cards that I created, and they all have these kind of arrows that look really – I think really cool, that says, “Start a private practice,” and then the other one says, “Grow a practice,” and then the other one says, “Become a consultant,” and then on the back of it, it has a checklist of kind of your first five or six things to do, and then at the bottom, it says, “Download the full checklist.” And so I have a checklist for how to start a private practice. For the “how to grow a practice”, I’m giving away my book for free. Usually, it’s $10 on Amazon. And then for “the consultant”, I have a 23-point checklist for people to opt in to. And so opting in to that, then they get in there. They get some good content, they get some emails, they become a part of that segment. 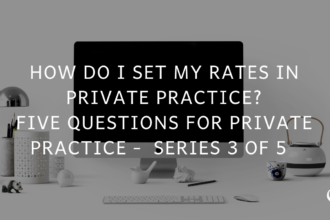 And so I’m then focusing in on my specific clients and what they want more than just blasting everyone, because someone starting a private practice versus someone that wants to become a consultant, those are two very different purposes. And so I want to create content that’s highly specialized. And websites are even starting to move towards having the ability to be catered to the person. So I’m guessing the next probably two to three years, people will be able to say, “I want to opt in to the Start a Practice website,” and then I could develop the website so that it shows everything that’s around starting a practice versus people that say, “I want to grow,” or I want to be in consulting, where it really kind of morphs around the person, which is really awesome that we’ll be able to do that soon. The technology is not quite there yet, but it’s coming soon. So I’m using AWeber for my e-mail system. I think it’s awesome. Head on over to becomeaconsultanttoday.com and just click on the AWeber link. You can try it for a month for free – no, for $1. Sorry I misspoke. That’s an affiliate link. That’s how I help to fund this podcast. We haven’t had a ton of people using the affiliate links, which is fine. You don’t have to, but if it’s something that’s good for you and it’s going to help you grow, I would love if you use that through becomeaconsultanttoday.com. That’s going to help me fund this so that I can keep doing it. As you and I both know, we’ve got to look at where we put in our time and our energy, and I want to continue doing this. So if you’re going to be getting something, it’d be awesome if you went to becomeaconsultanttoday.com so that you through that affiliate link for anything that’s going to help you grow your practice. Thanks for letting me into your ears and into your brain. You guys are awesome. Keep up the great work. I’ll talk to you soon. 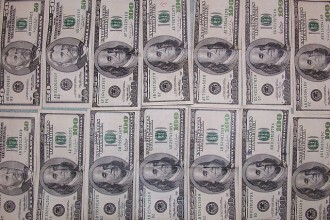 To discover more about how to grow a specialty audience and income, visit becomeaconsultanttoday.com. Joe Sanok: Welcome to the How to Become a Consultant Podcast. This is Session 59. Can you believe we’re 59 sessions into this? That’s crazy. I hope you’re doing awesome today. I hope you are enjoying your friends and family or if you’re in a commute that you are de-stressing and enjoying my soothing voice. I hope that you are having fun with life. I hope that you’re not taking yourself too seriously, but you’re also breaking down your goals and focusing in on where you want to head, because you can do it. 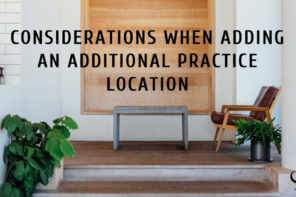 I get emails all the time from people that they say, “After listening to this podcast,” or my other podcast, the Practice of the Practice Podcast, that they feel like they can do it, that they can make changes in their consulting practice or their private practice. So you can do it. Keep with it. You are ahead of most people by listening to this. You are a very smart audience, and I know that you’re implementing things like crazy, and I love, I absolutely love hearing what you’re doing. So all week, we’ve been talking with Sarah Barnes, who’s been giving us so much value. So today, she is going to be talking about how do you articulate your value so that people want to give you money, and I think it’s a very important discussion, because a lot of us weren’t trained in that. Even if you went to business school, a lot of times, as you start consulting, it’s hard to figure out, “What’s my ROI?” “What am I doing?” “How do I draw from past clients in a way that gives more value to what I’m saying?” So she just kind of unloads on us today. It’s awesome. So without any further ado, Sarah Barnes. Sarah Barnes, welcome back to the How to Become a Consultant Podcast. Joe Sanok: How are you doing today? Sarah Barnes: I’m good. How are you? Joe Sanok: I’m doing great. It’s a beautiful day in Northern Michigan again. Sarah Barnes: Good. Same here. We’re lucky right now. Joe Sanok: Yes. So today, we’re talking all about how to grow an income as a consultant, and why don’t we just start with where do you think we should start in regards to growing an income as a consultant? Sarah Barnes: Yeah. So I think for everybody, it’s different. I think there’ll probably be some who are listening in that are going from one – they were consultants at a firm and they’re now going out on their own or they’ve been practicing, and they’re going to start doing some consulting, and it’s a whole different mindset. So it’s really kind of about – and then frankly, the last group would be those that are just starting out and really haven’t had as much experience. I think it’s really all about credibility and delivering service, and if you are able to deliver – and I keep going back to this, like delivering good service, and really, what that means is making sure that you have strong communications with your clients to make sure that you are appropriately assessing what you’re doing and making sure that you understand where you fit with them throughout the entire engagements, and then making sure that you follow up and do good client stewardship. So checking in with them, having lunch with them, understanding kind of where everything is at. I think in terms of kind of that monetization and moving forward or I guess, rather, it’s more kind of converting, for each industry and each service line, it’s a little bit different, but most often, organizations or businesses or individuals really want to see the work that you’ve done prior or your experience, and it goes back to that value proposition that I talked about during our first call, is being able to really communicate what your value is. I think that that’s really where it’s going to set you apart and saying, “Here’s why I’m different. Here’s what I’ve been able to do. Here are the successes that I’ve been able to make.” Like for instance, when I work with organizations, I try to articulate what is the value I bring to them. Like what have I done with other organizations I have made them better, right? Like at the end of the day, we’re all trying to better the institutions we work with, but have we been able to capture that? Have you been able to figure out what those metrics are? Because that’s really where it’s important to figure out. Joe Sanok: And how much do you let the potential client define those metrics, and then kind of speak to that versus just come out of the gate with like your own metrics? Sarah Barnes: Good question. So often times, I love to develop scorecards with the organizations I work with, and so as the process is going through, usually, at the beginning phase, it’s figuring out, “At the end of our engagement, what do we want to have happen, and what are those metrics?” What are those key performance indicators, or KPIs, that we’d like to use in the marketing business world, but what are the KPIs that we need to hold ourselves accountable so that we can evaluate the success of our engagement together? What that gives you at the end, like it allows you to go back and reflect on the engagement, number one, but number two, that’s going to give you more content to help your clients going forward or your perspective clients going forward. It’s going to help you in the sales process. Joe Sanok: So maybe tell us about – and you don’t have to say the company name or the non-profit’s name, but like what would that scorecard look like with the key performance indicators they would have, and how you, as consultant, would kind of walk them through that? Sarah Barnes: Yeah. So I’m working with an organization right now. Now, my focus with them is to evaluate their social media, email, and website. So I’m able to look and see – I did a really deep assessment of all of their channels, and then I was able to say, “Here’s a scorecard that we need based on here’s where you’re at and here’s where you’re tracking, and then here’s where I think we can go within a six-month to a year period.” So within that timeframe, I’ll be able to go back with them and say, “Are you hitting those goals accordingly?” Again, every service line is different. So there are certain metrics for whatever work you’re doing. In other areas of our work, we’re helping organizations raise a lot of money for their campaign initiatives. So have we been able to help them meet that campaign goal? Maybe it’s a $35 million campaign goal, maybe it’s more, maybe it’s less, but what are those metrics that help us figure out we’re successful? Joe Sanok: Sure. So it’s really where are they at, really clarifying the exact objectives, what’s going to be those key performance indicators as you go forward. Now, is it that you’re then giving them, “Okay, here’s the tasks you need to do over the next three months, and then we’ll see if you’re successful with that” or you’re taking on those tasks? In some cases, it’s where the consultant will actually become part of the team. It depends on if the resources aren’t there. So in those instances, that person’s going to be able to really continue to have that scorecard and to track ongoing. It just depends. Joe Sanok: Sure, sure. And so when people have that scorecard, what are ways that a consultant could use that scorecard in a way that isn’t optimal, and maybe ways that it is optimal? Now, there are some instances where you’re not going to be able to hit those metrics or something happens. That can be for a number of different reasons. It’s usually not the fault of the consultant. It’s usually because maybe internal resources got strained or something happened or the market dropped or a various number of reasons. It could also be the consultant, but in my experience, it hasn’t been that as much. But those are instances where you’ll have perspective clients ask you, “Tell me about a time that you failed” or “Tell me about a time that a project didn’t go well,” and you’ll be able to capture that and be able to speak to it pretty clearly and effectively. Everybody has a project that hasn’t gone well. Joe Sanok: And I think, I mean, those kind of questions sound like they’d be good kind of initial like exploratory, “Are we going to work together?” type of questions. What other kind of questions will lead to a potential conversion? Sarah Barnes: You mean like in the sales process? Joe Sanok: Yeah, in the sales process. Sarah Barnes: I would say, are you the one who will be leading the project as opposed to abated switch? So if you have a team, let’s say here, you’re the consultant but you have an associate that you work with. Will you be the primary one who’s serving our project? I always think it’s really important to identify what their expectations are and be able to address them, but in a really meaningful, productive way as opposed to let’s say you’re overselling or overstating what your abilities are or the timeframe. I think that’s our Achilles’ heel, is we say, “Oh, we can get this done with this amount of time,” and really and truly because of the internal bandwidth of the organization and our own, it doesn’t happen. So you really want to set expectations clearly. Joe Sanok: Okay. So for new consultants, people that are exploring how to become a consultant, what’s one thing that they can do to start to move towards growing an income? Sarah Barnes: For new consultants? Joe Sanok: Or any consultant. You can answer that however you want. Sarah Barnes: That’s such a challenging – I think just in terms of really converting to having a client. It’s being able to articulate your value, how you’ve been successful in the past, how your experience will help you and your team, and how you really become part of the organization that you work with, that you’re not there to like be this fancy consultant. You’re there to better their organization. Joe Sanok: Awesome, well stated. Well, Sarah Barnes, we’ll catch up with you tomorrow. We’re going to just talk about all sorts of other things. I’m hoping to hear some more case studies. I really liked hearing kind of some of that today. So maybe I’ll ask you some questions tomorrow all about that. Sarah Barnes: All right. Thanks, Joe. Joe Sanok: I think Sarah really brings up an awesome point at the end there, when she’s talking about how do you articulate your value, but then also, how do you draw from past clients’ success. I think that a lot of times – and I’m guilty of this, as well. I haven’t asked people for testimonials or references or things like that. They have spent a substantial amount of money on consulting with me, and these are people that they’re highly successful, they’re doing awesome after we do our consulting, they’re going from a $30,000 a year business to six-figure businesses or more. I think about people that have launched podcasts that that just like was a game changer for them. But I haven’t asked them for testimonials, and that’s something that as my own personal to-do, I want to start doing more of – to just be able to show the value that I provided so that I can increase my prices, so that I can increase my value that people see that when they work with me that it really helps them scale and grow a lot more. So with that said, thank you so much for listening today. We’re going to be talking again tomorrow. Thanks for letting me into your ears and into your brain. Have a good one. Joe Sanok: Welcome to the How to Become a Consultant Podcast Session 60. Man oh man, what a busy week it’s been with Sarah. I’m glad you guys are tuning in. If you haven’t checked out the podcast from earlier this week with Sarah Barnes, on Monday, she dove into growing a specialty, some very clear tips, some books, some ways that you can grow that just skillset for you. Tuesday, she dove into building an audience, and she is a master of growing your online presence, SEO, marketing, getting people to know that you exist and finding those perfect clients, and then yesterday, it was all about how to grow an income. And if you are like me, you thought that was amazing. She did an unreal job, just unloaded on us. So thank you so much for tuning in today. Without any further ado, here is Sarah Barnes. Well, Sarah Barnes, welcome back to the How to Become a Consultant Podcast. Sarah Barnes: Hello! How are you? Joe Sanok: I’m doing awesome. It’s Thursday, and life is good. Joe Sanok: So I really felt like yesterday, when we were talking about money and growing an income, when you were giving kind of case study examples that that was really helpful, and I want to hear more of just kind of some case studies of businesses you’ve work with that maybe it’s gotten really well, and then maybe a story about one that’s not gone so well. So why don’t we start with – let’s start with the failure, first. So what are some kind of consulting case study failures that you or your team have experienced, and maybe some lessons you learned from that? Sarah Barnes: I would say, well, me, personally, I’ve had experienced doing some consulting for an organization, and I think it’s not that it’s not a success or there wasn’t a success. It took a while to get paid or compensated. And so it kind of goes into this whole like agreement thing, and I think that that’s a part of this whole process, is once you create your proposal, they say, “Yes, we want to work with you,” and then you have your agreement. And that’s a whole step to this that I wasn’t as familiar with, so I think it’s always important to have a really well-articulated agreement. If you’re working as an individual, making sure that they have your W9. And then in some instances, to have the institution or the firm that you’re working with pay 25% upfront or 30% upfront before you get started working. And you may feel like that’s such an awkward thing to ask, but it’s a pretty normal situation within the consulting world. Sarah Barnes: Yeah, and it gets a little awkward, because I think you want to make sure that you give an invoice a specific time. Make sure it’s an invoice and not just like, “Oh, I worked this many hours,” but an invoice with – and make sure you track your hours and articulate what that is. This case study may not be exactly what you were looking for, but I think it’s something that it happens and you have to really think through, and making sure that you have the agreement and everything solidified before moving forward. Joe Sanok: Sure, sure. So what’s maybe a success story or some examples that you feel like articulate kind of the other theme that you’ve talked about this week? Sarah Barnes: Yeah, and let me just go back to the case study that’s not so good, because I know, I want to make sure I’m touching on what you want, but we worked with organizations in the past where we’re going along and everything we think is going well, but behind the scenes, there maybe somebody who is resigning or there are internal strains that are happening that we may not know about. So it’s really important to make sure that you have really solid communications with the institution that you’re working with, and it’s not so much about like, “Oh, I’m talking to them every week.” It’s really asking some pointed questions as to here – and it kind of goes back to that scorecard discussion about like, “Here’s where we’re tracking, here’s where we’re at, what do we need to do in order to go forward? Is everything going on your end? What’s your update, and what’s going on with you?” so that you don’t get three months down the line, and you’re in one place and the organization’s at a different place. Joe Sanok: Sorry for that pause. My headphones went crazy. It was like zaps to my ears. So I heard the very of that, as well. So when you’re creating those minutes, is there a structure that you use in those minutes that kind of – I think about at the end of a consulting call sitting down and typing up notes, like sometimes, that might not be the best use of time, but if you want to capture as much as you can in the shortest period of time, how do you do that? Sarah Barnes: Yeah. So it’s funny. It’s like, “Oh, that’s a waste of time,” but going into your meetings with your clients, you want to have an agenda because you want to make sure that your call or your meeting is really worth their time, but also, an agenda helps you figure out how much time you meet with them. Do you need a half hour or do you need an hour? I think we often schedule meetings for an hour when we really need only 15 minutes or half hour. Joe Sanok: Had to use Joe Schmo, didn’t you? Sarah Barnes: Do you think Joe Schmo? Joe Sanok: You caught yourself there. I appreciate that. Sarah Barnes: Maybe has edits for the timeline. Maybe he wants to push things out a month. So we want to make sure that we capture that. It’s really important to capture that conversation so that in two weeks, you’re not saying, “Why aren’t we forward” because you forgot. You want to make sure that you’re remembering what everybody is agreeing to. And also, for minutes, it’s not just you taking notes, but you’re sending it out to the team and saying, “Here’s a reflection of our conversation today. Did I articulate everything correctly?” So you’re getting collaboration, you’re getting buy-in on the process, and that helps mitigate and lessen the amount of potential upheavals in the future. Joe Sanok: Sure, sure. Now, what about kind of takeaways from some of your successful case studies? Sarah Barnes: So it’s funny. It’s kind of like the opposite of that. It’s like with my successful ones, it’s bad because we’ve been in communication with each other, it’s because everything’s been documented correctly, it’s because we’ve held ourselves accountable, we’ve had really good working relationships. I’ve also found that those that I do video conferences with, I have better relationships with. So I think that that’s a little interesting nuance. Joe Sanok: Do you think that’s the personal nature of it? Sarah Barnes: Yeah, I do. Joe Sanok: Yeah. It’s also harder, I think, for people to get really irate when you’re looking at them in the face versus email. Sarah Barnes: Versus the email or conference call. Sarah Barnes: It’s a much different vibe. So I highly recommend video when you can do it or when your client is okay with it. I’ve worked with some people where they’re like, “I only do video for my conference calls.” So I highly suggest doing that. But yeah, it’s really just the ones that I have been most successful with have been just where we’ve been really proactive, we’ve had agendas, we’ve had minutes, we’ve held our conference calls, we really haven’t rescheduled them, we’ve kept our promises, documented everything really well, and had a personal relationship. Sarah Barnes: Absolutely. I think you have to put it in a way that you’re not dictating, but you’re saying, “In order for this engagement to be successful, this is what I need from the organization,” and I put that in agreements. Joe Sanok: Sure, okay. Yeah, I think that’s helpful. And earlier in the week, you were talking about this book Insight Selling, and I just want to hear a little bit like more about that, because we didn’t have a chance to go super deep into that. Tell me more about that book and maybe some takeaways that you took from the book. Sarah Barnes: So I’d have to be honest. I’m only halfway through, but it’s a really good book. So these guys, Mike Schultz and John Doerr, they studied more than 700 businesses, B2Bs, who really represented a lot of consulting, and they compared winners to second place, so to the organizations that come or to the consultants that come in second place, and what is the differentiator between a winner a second place. Joe Sanok: So what is it? Sarah Barnes: I’m still learning, but it’s really looking at what winners do differently, how they sell compared it to second place finishers, and really, what it comes down to is being authentic and really being part of the team, understanding what the organization needs and what you’re able to provide them. It’s being able to convince – convince them what the return is that they’re going to get from working with you. So it’s that ROI. 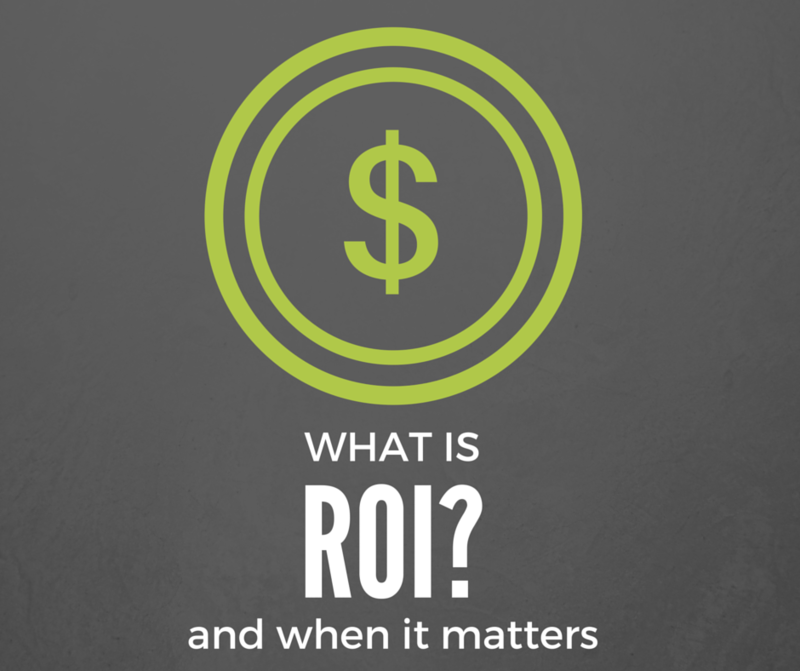 So you have to be able to communicate to a perspective client what is the ROI for your service. So it’s a really good book so far. I really recommend it. I’ve learned a lot from it. Looking forward to reading more. 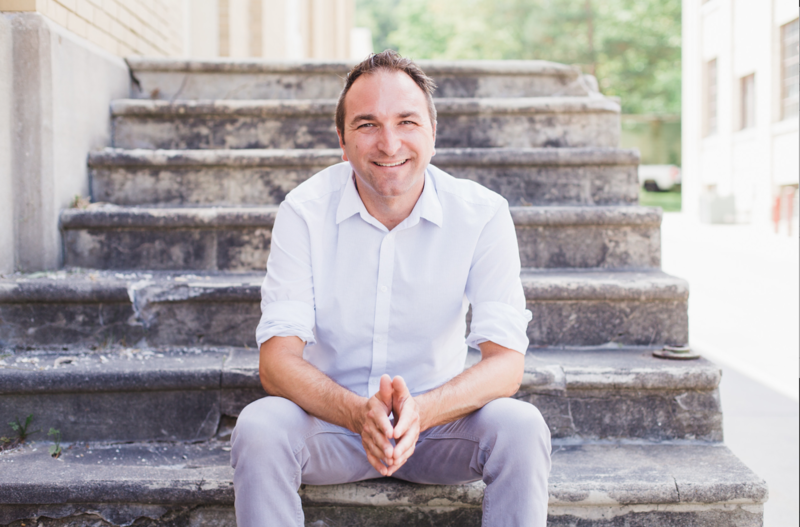 Joe Sanok: So it sounds like really putting more of yourself, your own personality, your own differences into your business rather than just try to be whatever you view the perfect consultant as. Sarah Barnes: Absolutely, yeah. And it’s also thinking it’s not like us versus them. That’s not what it is. It’s about becoming part of the fabric of an institution to help them improve their systems, improve their team, improve their efficiencies, and that’s what you have to always remind yourself, is that it’s not a “you versus them” like you’re better than them. It’s you working with them to give them the tools and to become part of the team, and that will really help sell you in the future. Joe Sanok: That’s awesome. So Sarah Barnes, how can people connect with you if they want to learn more about you or your organization? Sarah Barnes: Oh goodness! Well, they can visit campbellcompany.org – or sorry, not .org. This is horrible marketing. campbellcompany.com or you can reach out to me at sarahjanebarnes@gmail.com, and that’s pretty much it. Joe Sanok: Awesome! Well, Sarah Barnes, thank you so much for taking time with us this week. Such amazing information you gave us. Thanks so much. Sarah Barnes: Sure. Thanks, Joe, for having me. Joe Sanok: So after this interview with Sarah, I switched from doing as many phone consults to doing way, way more Skype calls for that first 30-minute free kind of assessment. The flow that I have for my consulting is when somebody reaches out to me, I created a landing page for consulting with me where I kind of talk about my catered approach to consulting, where I don’t have like the Joe Sanok system that I put you through. I do have The Consultant School, which I’m growing as kind of an add-on beyond just the individual consulting. But that’s just to kind of streamline a lot of the things that I’m going over and over. So I talk about my catered approach to consulting, I talk about how at this point, the minimum per month is $495 per month, and that’s kind of like your basic bare bones package, pretty much my time and then just a little bit of other things. But most people, I’d say, are in the $800 to $900 per month. And so that’s my method of kind of how I go through that consulting call, and then I give them a number right at the end, try to encourage them to take action that day, and then we just go forward from there, usually schedule the next appointment within 48 hours or so to really get started right away because they’re excited about it. So that’s my method. I don’t know what your method is. We’d love to hear what it is, maybe on our Facebook group. The best way to join our Facebook group is to go over to becomeaconsultanttoday.com. Join the email list. You’ll get an invite with the link or you can just search on Facebook How to Become a Consultant, and it’s one of the top groups in Facebook. So thanks for letting me into your ears and into your brain. Tomorrow, we’re going to be taking listener questions, and then we’re going to go even deeper into something. Something. I will tell you what that something is, and then I will announce who next week’s consultant is that we’ll be chatting with. All right, thanks for letting me into your ears and brain. Peace out. Joe Sanok: Welcome to the How to Become a Consultant Podcast with me, Joe Sanok. I hope you are doing awesome today. It is Session 61, and it’s Friday. So actually, I’ve been taking off every Friday through the whole summer. Once in a while I do a little bit of work, a little bit of email, but for the most part, I drop off my daughter at school and then go home and have coffee with my wife and my other daughter, who’s one year old now, and she’s scooting around and starting to stand towards things, and it’s just the cutest little thing. So I really have been trying to do three-day weekends to the best of my ability. Once in a while, there’s a meeting like the LPCs in Northern Michigan, which are Licensed Professional Counselors. I’m the president of that, and we meet every other month on a Friday. I kind of go show up for that because I’m president, but it’s every other month, and so then I’ll lump in a couple of things on those days. But for the most part, Friday, I’ve been protecting. So great to be in your ears and brain today. Of course, I don’t record these on Friday because I take them off. Today is actually Thursday. I’ve been blocking out Thursday mornings for doing a lot of the podcasting just to get a better flow and all of that. I want to actually read an email to you. I don’t have permission to give the person’s name, but I just love this question, because this person was talking about making the jump into doing kind of private practice and consulting, and a lot of us wanted to leave our full-time jobs and that’s why we started consulting. Some of you still have full-time jobs, and that’s awesome. I’m actually – it’s probably by the time that this goes live, I’ll have my How to Leave Your Full-time Job Calculator live where you can enter in from your pay stub what you would need to have in regards to consulting clients. It’s going to be awesome. So that’s going to be live. There’s going to be a link on becomeaconsultanttoday.com, and it’s going to help you figure when can you leave that full-time job. So here’s what I said to her. I said, “I’d love to do a podcast on this. Would you mind leaving it as a voicemail that I can use in the podcast?” So this actually just came in earlier today. And so I didn’t want to wait for her to talk about it on this podcast. I’m probably going to have her call in for my other podcast. So would you mind leaving it as a voicemail I can use on the podcast? I can just tell that it would resonate with tons of people. Here’s the link: speakpipe.com/practiceofthepractice. And then some people might just say leave it there, but I feel like when you give over the top customer service, when you give people great responses, it’s really helpful for them, and then they become one of those followers, one of those people that feel like, “Oh my gosh, Joe Sanok took the time to do that.” Sometimes, when people are struggling, I’ll send them a free copy of my E-book. You should probably have something that you can send people when they’re just hurting, when they like need that “pick me up”. Because if you do that for one, it’s just nice to do. I mean, to have some really good content that you sell that you give away for free when someone’s hurting, when someone’s struggling, when they’re just like – they’re following your advice and for some reason it’s not working or maybe they think that they’re following your advice and they aren’t, it’s a great way to just show really good will and to just be a nice person. Secondly, it demonstrates your skills of expertise. Most people over time are going to increase their net worth. That may be that they go back to their full-time job, and maybe that they pick up a part-time job. But over time, almost everybody is going to go up in value in regards to how much money they bring in, in regards to their jobs. So over time, that person’s going to become more and more valuable as a client lead. And then third, when that person’s ready to do consulting or to grow or to buy a product or if they continue down the same path that you were advising, they’re going to look to you probably first and foremost because when they weren’t a “valuable customer”, you were there for them. You were a support. You were that person that reached out. And you may only get 1% of the people that do that. But what I think is awesome is that we live in a world now, we’re doing good, doing good will, helping other people can also help you grow your business. And with technology, the cost of putting that together is really your time of taking – maybe taking your top five blogposts and putting them together in kind of virtual book, in an E-book, and just saying that, “Okay, I’m going to give this away to people when they’re hurting.” That’s a great way to build good will but also build future customers. So here is what I said in my words of wisdom. First, read these two articles. So I have one called “Why I left My Full-time Job” and the other one is “How to Leave Your Full-time Job for Private Practice”. In those, I have a worksheet on how to leave your full-time job and how many clients you need, and I’m hoping that she does that worksheet even though she already left her full-time job to really think about, “Well, what do I need in regards to clients to make this work?” because sometimes, it’s not as bad as you think. 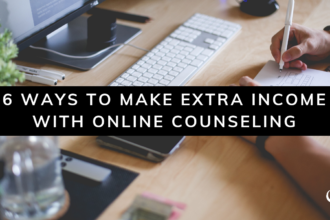 You may only need eight clients a week at $100 a client. You may need 1,000 clients a week at $100 depending on how much you’re spending. Like that would be a ton of money a week. $100,000 a week, that’s a ridiculous example. Secondly, I said – so I did these in bullet points. From 2004 to 2014, I worked a full-time job on the side. In my monthly income reports – and then I hyperlinked to those, you can see that in 2012, I was making $1,000 to $3,000 per month doing my part-time practice. In 2013, I grossed $54,000 outside of my full-time job. So you can see how it was equal to. And in 2014, I grossed to $110,000 outside of my full-time job. I started transitioning out in September of 2014. So for me, it became very clear that I needed to leave my full-time job, because I was leaving so much money on the table. I knew that I could get more consulting clients to make that up, and knowing that if I landed three or four consulting clients per month, that would make up in those four hours a month my 40-hour a week job. I mean, it was just ridiculous the difference. So when you’re struggling, if you jump off that cliff of leaving your full-time job, I remember when Christina, my wife, and I were talking about me leaving my job at the community college, and this is a good paying job, good benefits, decent kind of middle income job, nothing wrong with that, but I remember saying to her, “If things get really tight, will you stop staying home with the girls and go get a job?” and she said, “Of course I would.” Like almost like, duh? We’re not going to like just wait to be homeless or wait to like lose our house, like we’ll see that coming way before it. And for me, that’s what was the most helpful, is to have her just say, “You know what? If it gets bad, I’m with you,” and you may not have that person that’s with you, but if things get bad, you can always go find a job, you can always go find something to make ends meet. You think about the actors out in Hollywood where 90% of them are like waiting tables to go after their dream. They’re not just sitting around saying, “I’m an actor without work” or at least most of them probably aren’t. The same sort of thing can be with consulting where you’ve got to do what’s best for your family. You have to do what’s going to help you make ends meet, and then do it as a side hustle for a while. I mean, from 2004 until 2014, I was doing private practice and consulting and blogging and podcasting in addition to my 40-hour work week. I made it work. On Sundays, when my wife was sleeping because she was pregnant and my little girl was sleeping because it was her nap time, I’d go upstairs and I would record a podcast or two. I’d get it all scheduled out during that hour and a half and get it out, and it wasn’t perfect, and it was sometimes crappy, and I kept moving forward and learned from what I was doing wrong. So that’s my advice to you. I hope you are doing fabulous. Let me look over at my sheet of paper to see who’s next week. Oh, yeah. Usually, I use interviews kind of in order of the interview, but I am bumping this guy up to the front of the line. JV Crum III, he’s from consciousmillionaire.com. This dude is awesome. Oh my gosh. So I interviewed him yesterday, and I’m so excited about his interview that I’m dropping it in right now because he’s crazy. He has been an NPR, he writes for the Huffington Post, he became a millionaire at age 25, and he reveals so much of his systems; of his systems of how to apply this to any business. He talks about how to get $100,000, and when you’re at $100,000 how to get to $250,000, and when you’re at $250,000 how to go to $500,000, and when you’re at $500,000 how to get to $1,000,000 a year, and it’s just – oh my gosh. I am so excited about this interview and to hear what you guys think about it. This guy is awesome. So if you want to learn a little bit about him beforehand, head over to consciousmillionaire.com. Otherwise, on Monday morning, bright and early, you will be hearing more from him and me and our interview. Thanks for letting me into your ears and into your brain. I would love to have you go over to iTunes and review us. That is how more people find out about us that don’t just hear about it from you, is through that review. It’s probably the best thing you can do to give back to pay for this podcast, would be to go do a review. So just head in to iTunes. Hopefully, you’d subscribe. Then you just click on “Review This Podcast”. I would love for you to give a five star, but if we’re not, then give us some good feedback. I’d love it. You guys rock. Thanks for letting me into your ears and into your brain. See you soon.